The cycling club of Baroda in association with Vadodara Marathon will organise Olympic and Super Sprint Triathlon on 7th October 2018 starting from Navrachna International School at Vasna. This is the 4th annual edition of the event in the city. In Super Sprint Distance the participants will take part in Swim: 400-meter 8 lengths of Swimming pool (25 mins cut-off), Bike:10 kilometer and, Run: 2.5-kilometer. The winners get the Trophies in Top 3 Triathletes Men (Olympic Distance), Top 3 Triathletes Women (Olympic Distance), Top 3 Triathletes Men (Super Sprint Distance), Top 3 Triathletes Women (Super Sprint Distance). Participants who finished the triathlon will get Finisher’s medals. 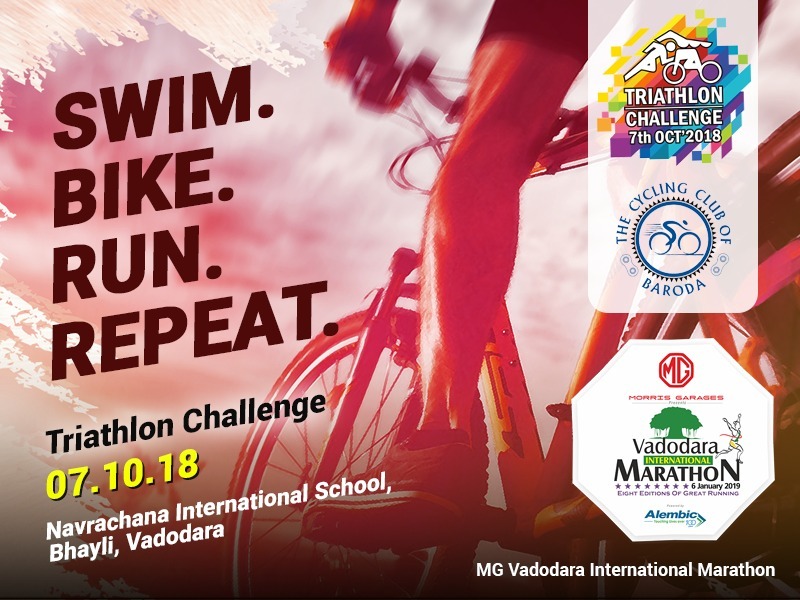 Baroda’s triathlon challenge has been the preferred training grounds for many triathletes aspiring to compete in the international IronMan triathlon events. The Cycling Club of Baroda (TCCB) has successfully been organising cycling events in the city for the past 6 years. TCCB is the premier cycling club in the city which is prolific in organising the best cycling events such as bike races, BRMs (ultra cycling), time trials, triathlons and even picnic rides. TCCB was the first club in the state of Gujarat to organise an Olympic Triathlon back in 2015. 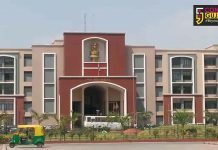 This will be the 4th edition of the annual tradition of Olympic Triathlon in Baroda.